Consider this. What would happen if there was a fire in your home and your smoke detectors didn't ring? An Elma man is questioning how safe he was, with Kidde smoke detectors, having experienced that very situation. Roy Fedeson has lived in the same home for 35 years. He was out of town one weekend in February, working a manual labor job, when he got a call that the electrical wires coming from his house were arcing. "Here's a company I rely on for my life and they don't respond? It's crazy." His son responded to the call and told his father the house was filling up with smoke. He told his father the smoke detectors never went off. Fedeson said smoke detectors were in the room affected by smoke. Once it settled, he took the alarms off the wall, replaced them and called the manufacturer, Kidde. "I called them. No one picked up for a half hour. I gave up, hung up the phone... sent them an email. No one answered the email... [it's] very frustrating," Fedeson said. "Here's a company I rely on for my life and they don't respond? It's crazy." Why didn't these smoke detectors work? The I-Team tried to get someone on the phone from Kidde. After 15 minutes, we found ourselves still on hold, waiting for someone to answer. Finally, someone answered and transferred us to a spokesperson, whose voicemail wasn't set up. We got disconnected as a result. That was 24-minutes into our phone call. 7 Eyewitness News discovered Kidde has recalled 1.8 million smoke alarms since 2009, including half a million in a recall last month alone. They were recalled for similar issues, where alarms "may not respond to smoke." We asked Fedeson if he was surprised there were recalls for similar issues. He said simply, "No." Erie County Deputy Commissioner of Fire Safety Jim Reger discusses Kidde's claim you should have both ionization and photoelectric alarms. He said there is a time difference between the two. In reading the fine print on the back of his alarm, Fedeson saw he had an ionization smoke detector. On its website, Kidde says ionization alarms "may detect invisible fire particles (associated with fast flaming fires) sooner than photoelectric alarms," which they say would be beneficial in detecting "visible fire particles (associated with slow smoldering fires). Fedeson had a smouldering fire. Still, he questioned where there was a warning about the difference between ionization and photoelectric alarms. "If my house fills up with smoke, I want to know about it right away." Kidde's website explains, based on studies, both ionization and photoelectric alarms "will effectively detect either type of fire." In a controlled test at a Denver forensic facility, the photoelectric smoke alarm went off first -- in under two minutes-- when material, often found in furniture was heated. There was little visable smoke. There was plenty of smoke, filling the room, in an ATF test kitchen before the ionization alarm went off. "If my house fills up with smoke, I want to know about it right away," Fedeson said. "I don't want to wait until we have flames shooting out of the wall...that's a little too late." Fedeson said he would suggest buying photoelectric alarms rather than ionization. "Apparently, they work better and faster," he said. Kidde actually recommends having both ionization and photoelectric alarms for "optimal protection." Is it a money grab for a company to suggest having both ionization and photoelectric alarms in the house? That's the same recommendation from Jim Reger, Erie County's Deputy Commissioner of Fire Safety. "I would say, the way statistics are is that both would be recommended or a dual head," Reger said. "The problem isn't necessarily having the smoke detector... obviously everyone wants to have them. The real problem comes in with maintenance of the smoke detectors. People...put a smoke detector in their house and they don't maintain them. You should check that battery... and check that smoke detector on a routine basis." Further, Reger said you should look at the back of the smoke detector to find out if you have an ionization or photoelectric alarm. There might be other indications, he said, with an 'i' or a 'p' in the model number. Reger says the public doesn't realize there are two different types of alarms and how you should stay on top of your alarms. "The public is unaware there are two different smoke detectors. It's an educational piece that seems to have fallen short," Reger said. He said it's in the consumer's best interest to educate themselves on what kind of smoke detectors are in the home. 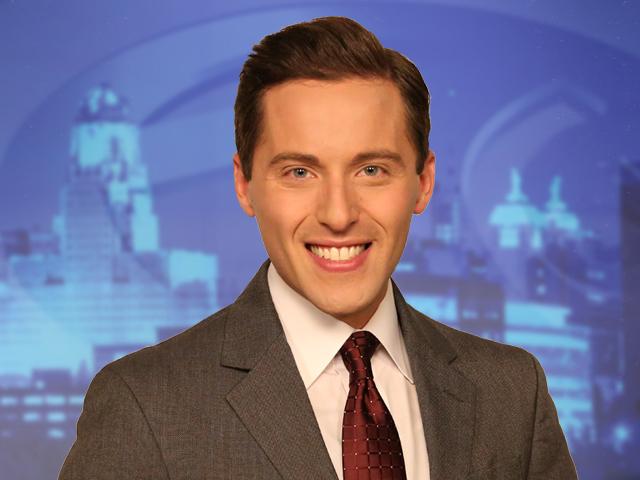 Ed Drantch is an investigative reporter and morning anchor for 7 Eyewitness News. If you have any tips for the I-Team, you can send us a tip here.